As much as I enjoy singing along to "Drag Me Down," I honestly don't think I have the heart to be a diehard One Direction fan. Simply because it's too much of an emotional rollercoaster. Between the news of Zayn leaving the band (which he says led to them not staying friends) and the upcoming hiatus, it's a whirlwind of ups and downs. Adding to all of that stress, news broke on Wednesday that One Direction's hiatus may be permanent and the band could be splitting for good. While it's just a rumor, that doesn't mean it's not worrisome for fans. By definition, the word "hiatus" means "a pause or gap in a sequence, series, or process." And sure, it can last for a few months, a year, or indefinitely, but I have higher hopes for One Direction. This can't be the last of Harry Styles — it just can't. Especially since they've previously told fans that this isn't the end, I don't doubt their sincerity. After all, they're not the first band to take a break and then get back together. To help ease the minds of any worried 1D fans, here's a round-up of other successful bands who took a hiatus, but reunited afterward. All hope is not lost, you guys. Back in 2000, the Spice Girls took a hiatus, but the "Wannabe" singers didn't break fans' hearts forever — they got back together from 2007-2008. Then, at the 2012 Summer Olympics, they performed once again. Plus, there are currently some very convincing rumors that they're getting back together for their 20th anniversary later this year. The group responsible for "Sugar, We're Going Down" took a three-year hiatus in 2010. Based on Pete Wentz's comments at the time ("A hiatus is forever until you get lonely or old, [and] I don't plan on either"), a reunion didn't seem likely. But alas, it's 2016 and the band is back with brand-new music. Their latest video "Irresistible" perfectly spoofs *NSYNC's "It's Gonna Be Me" video. BSB isn't going away anytime soon. After taking a brief break from 2002-2004, '90s girls everywhere rejoiced when these guys kept making music. They even went on tour again in 2011 with New Kids on the Block. Since they're also part of those Spice Girls rumors, there may be even more Backstreet Boys action coming soon. In May 2015, the Grammy Award-winning band got back together and released new music for the first time since 2012. While there previously were rumors that they had broken up for good, clearly that's not the case. They even changed up their sound a bit, telling E! News, "The songwriting hasn't changed drastically; it was led more by a desire to not do the same thing again. Plus, we fell back in love with drums! It's as simple as that." No Doubt is still performing together — who would've thought? Considering the band has taken two hiatuses (2004-2008 and 2013-2015), they're the perfect example of a group that sticks to their promises. In 2012, Gwen Stefani told The Guardian , "It just feels so much more natural being back in this mode... The group never ended — we always knew we’d come back to make this album." OK, so it wasn't the biggest reunion or another tour, but Destiny's Child absolutely stole the show at the 2013 Super Bowl. They also have performed at the 2015 Stellar Gospel Music Awards, so while the hiatus didn't lead to anything major, it still gave fans something more. Maybe it'll happen all over again when Bey performs at the 2016 Super Bowl? Fingers crossed. It feels like Green Day has been around forever, and in some ways that's true. The band first formed in 1986 and was inducted into the Rock and Roll Hall of Fame in 2015. They're actually on a hiatus right now, but Billie Joe Armstrong talked to Billboard about working on a new album. Considering they took a brief hiatus in 1996 and continued making music after, I don't doubt it. See, doesn't that make you feel better? 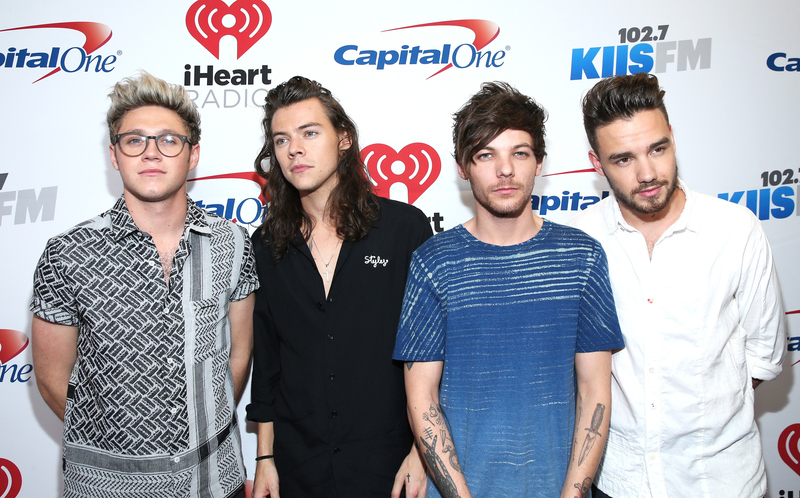 Lots of bands reunited after a break, so 1D fans should have nothing to worry about. Now if only *NSYNC would follow suit.